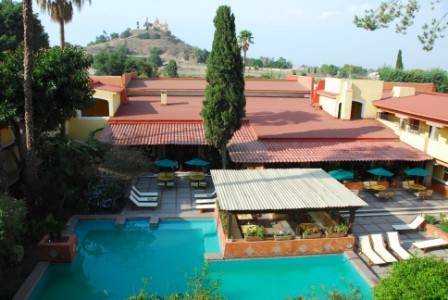 Built around a central courtyard and looking onto semi-tropical gardens, brilliant bougainvillea and a refreshing pool, the 40 guestrooms at Villa Cholula provide a peaceful retreat. All rooms are decorated with wooden furnishings and offer pleasing views. 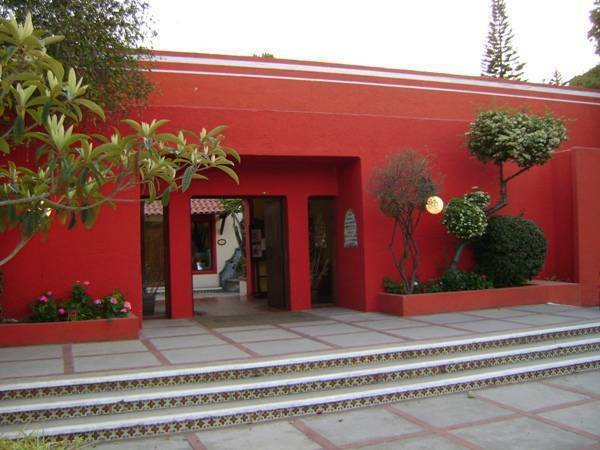 In addition, the villa features a restaurant with delicious Mexican and international cuisine as well as a bar that offers live music on weekends. Both feature an elegant and timeless fireplace. 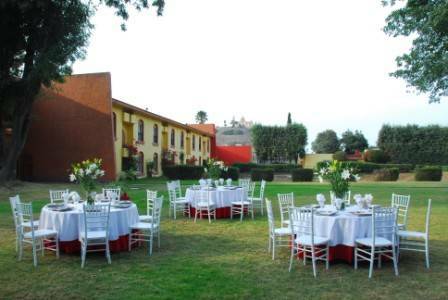 Villa Cholula also has six meeting rooms at your disposal for hosting conferences or business meetings. Each standard guestroom offers one double bed or one double and one single bed, 250 square feet of space. Our 40 well appointed guestrooms are beautifully decorated in a colonial style with tasteful rustic furniture, ceramic ornaments, draperies and bedspreads in harmonious colors. 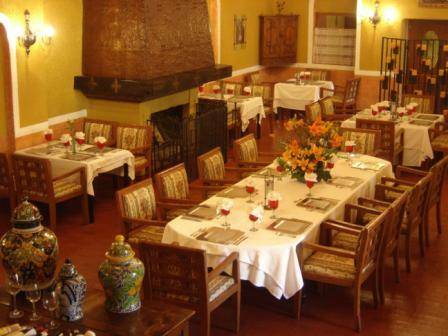 They all offer splendid views of the garden or the volcanoes and a very peaceful atmosphere making them ideal to escape from the hustle and bustle of the city. 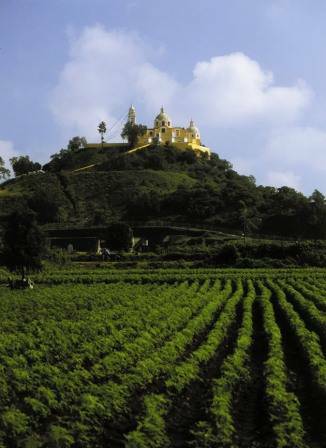 Villa Cholula is located directly opposite Cholula archeological site, the world’s largest pyramid in terms of volume. Above the enormous structure, stands the beautiful Nuestra Señora de los Remedios Church. The pyramid, which has been only partially excavated, contains approximately five miles of tunnels where prehispanic murals can be admired. 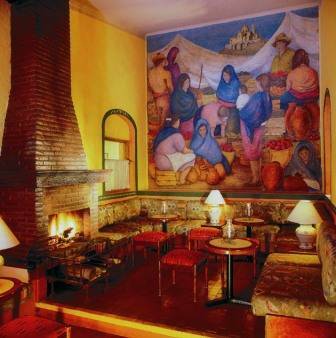 Our bar, beautifully decorated with an extensive mural and upholsteries with regional motifs, provides a fitting atmosphere for our guests’ relaxation. Try our exquisite cocktails. Open from 8:00 p.m. to 10:30 p.m.
48 hrs. before arrival date to avoid penalty. Situated in the heart of historic Mexico, the city is rich in Spanish architecture; dozens of churches and chapels built on top of pre-Columbian monuments by the colonizing Spaniards still remain today. The city of Puebla has a bus station known as CAPU, which has targets and timetables that connect throughout the south, east, central and southeast. Also, the Red Star bus line has a terminal located in the four west, which travels between the airport in Mexico City and Puebla. In both stations, passengers have controlled taxis provide greater security to users.